The hectic weeks are done (for now) and I can breathe a little again! 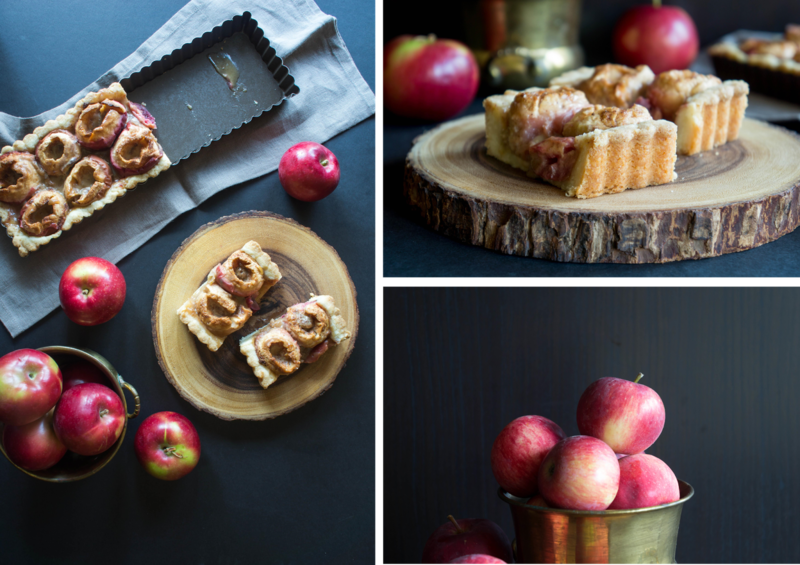 Breathe and smell the apples and cinnamon. We are being inundated with apples! 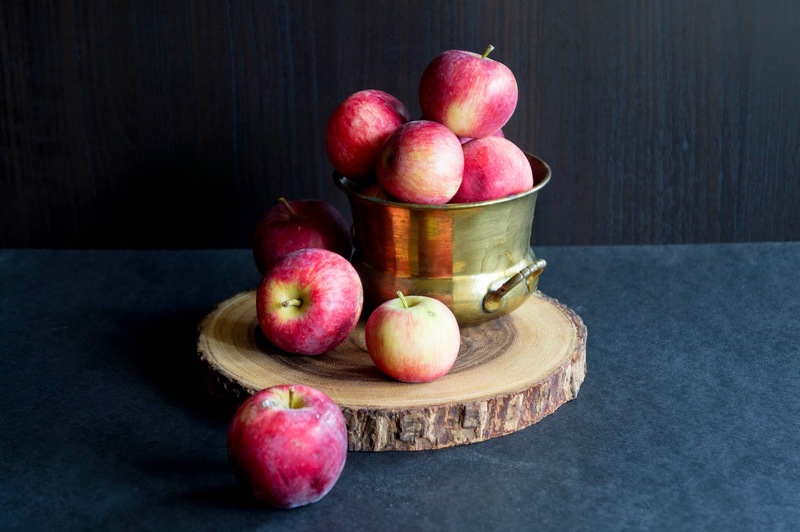 There are always apples at the grocery store, so it’s easy to take them for granted most of the time, but we shouldn’t. I mean, it’s not every day you can get these adorable, small, local apples. Shiny and bright; red jewels decorating the trees, waiting to be picked. Just look at them. So it’s clearly apple season, and what’s better than a caramel apple? 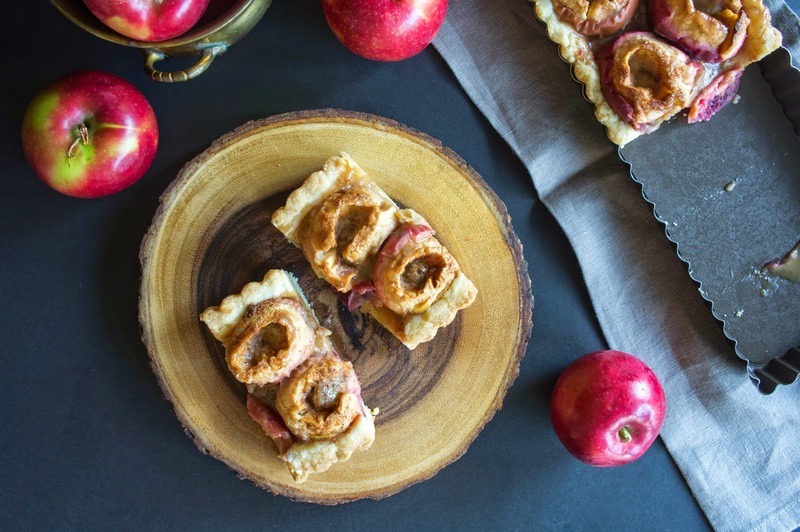 An apple, bathed in a fragrant, light, caramel sauce, and nestled into a buttery tart crust. I kept the apples whole because I couldn’t bear to slice them, plus the whole apples make little bowls for the caramel (and the ice cream). There are few things as beautiful as this tart except maybe the smell it permeates your house with while it’s baking. 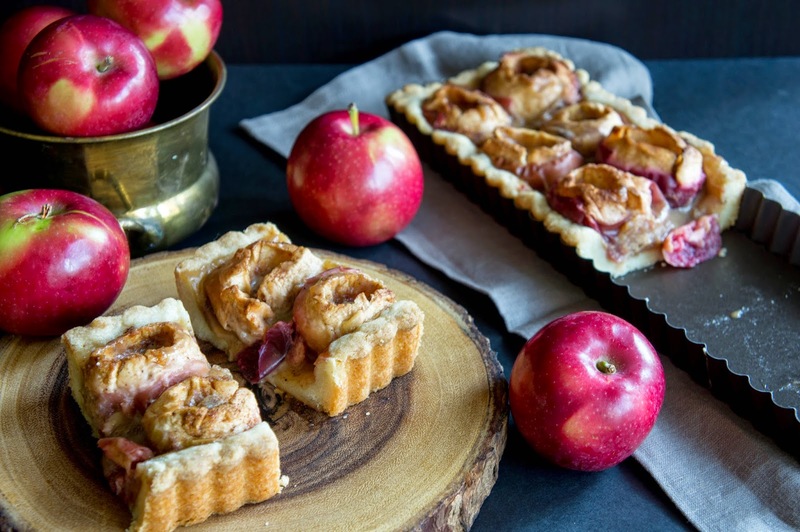 If an apple a day keeps the doctor away, then this tart can perform miracles. Core the apples and peel the top half of each apple. If you really don’t like skin, you can peel the whole thing, but I find it gives them more flavour. 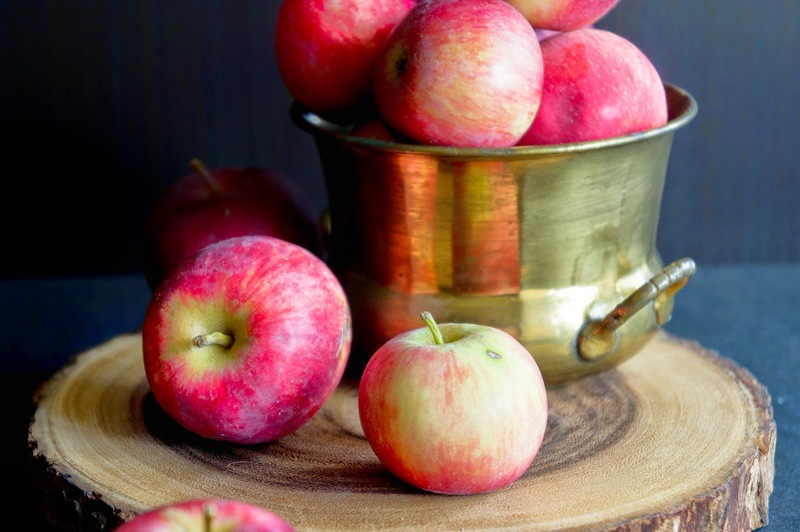 Place apples into a baking dish that is fairly snug for them. In a small bowl, mix together brown sugar, cinnamon, and nutmeg. Fill each apple center with brown sugar cinnamon mixture. Pinch butter into chunk and distribute evenly among the apples (some in the centers and some around). Pour the water around the apples. 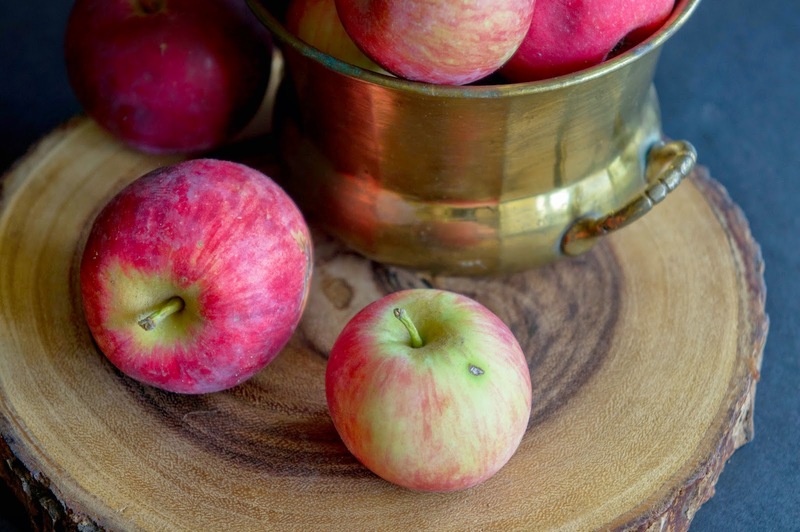 Bake apples in the preheated oven for about 30 minutes. Apples should not be completely soft! They will be baked again inside the tart. While the apples are baking is a good time to start making the pastry. When apples are done, remove from the baking dish, but leave the oven on. Pour the juices that are left behind into a small saucepan. Over medium heat, bring the juices to a boil. Lower the heat and reduce until sauce coats the back of a spoon. Set aside. One pastry is refrigerated you can roll it out or simply press it into your tart pan. I used a long rectangular pan, but a round one is fine too. 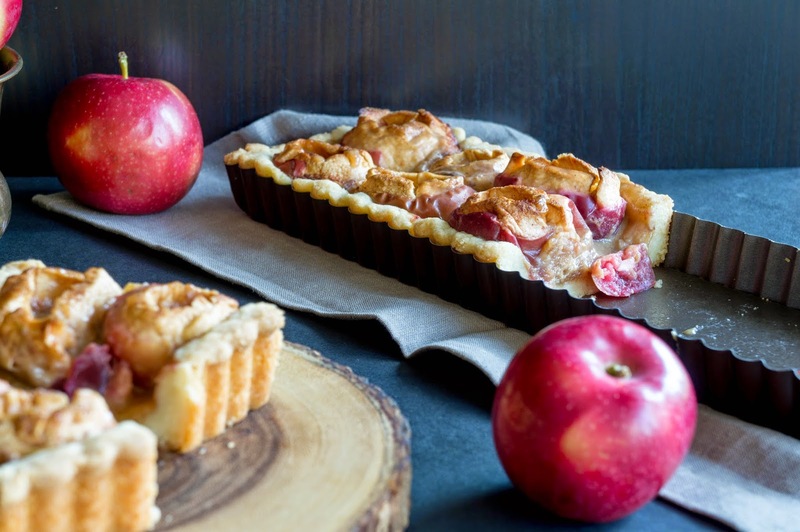 Arrange semi-cooked apples inside your tart. Pour over reduced apple juices. Bake in the preheated oven for another 25-30 minutes, or until the edges of the crust are a golden brown and the apples are easily pierced with a skewer. In a medium bowl, mix whisk together the sugar, flour, and salt. Toss in the butter chunks and work into the dough with your fingers or a pastry cutter until the mixture is coarse crumbs. Drizzle in 1 tbsp of milk and work gently with your fingers until the crumbs just come together into a dough. If they’re really not sticking, add some more milk 1 tsp at a time and work through again until the dough forms. Gather dough into a ball, flatten into a disc, wrap in plastic wrap, and refrigerate for 30 minutes. 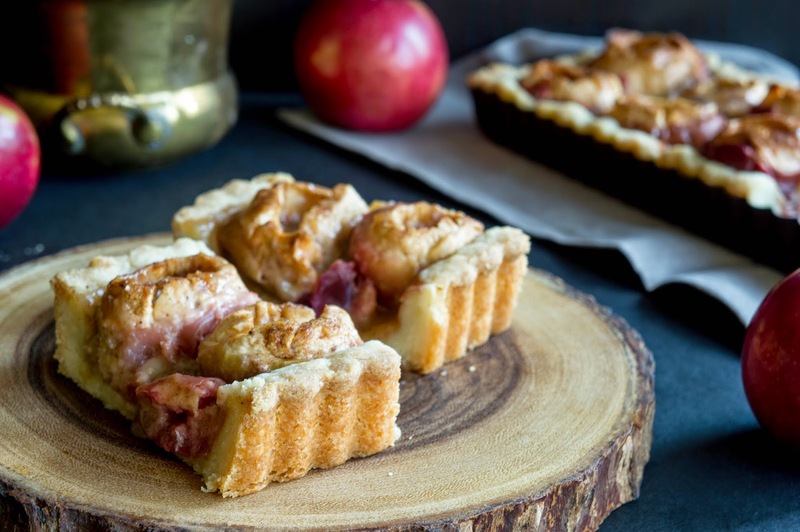 this tart looks wonderful and i love your photos too.